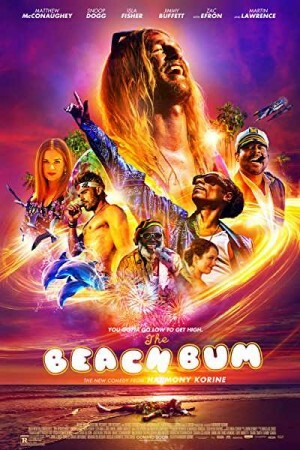 The Beach Bum is an American comedy film follows the adventures of Moondog, a loveable rogue and a beach bum who lives life on his own terms. Once a successful poet, Moondog fell out of the spotlight, thanks to the clouds of pot smoke, Booze Rivers, and a rich fortune of his wife. From an eccentric millionaire to a homeless weirdo, the financial ruin pushes Moondog to get back to work and complete his dormant novel. In his new journey, he meets characters like a pyromaniac Zac Efron, a dolphin-obsessed sea captain, a marijuana-connoisseur, and a world-famous singer. Watch the movie to discover whether Moondog works to earn back his lost fame or not.